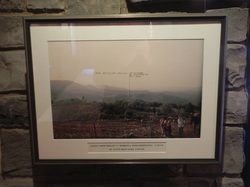 Looking North form OP "C" in Srebrenica, Bosnia-Herzegovina on 17 Oct 1993. The view features the location of an M48 artillery position. 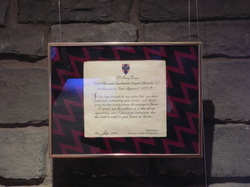 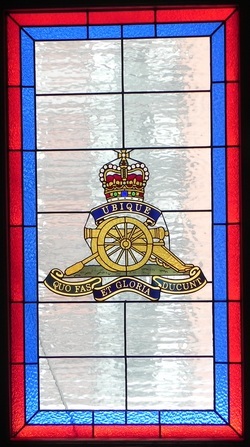 This window features the badge of The Royal Regiment of Canadian Artillery, presented to the OP de Hart by All Ranks of the 3rd Field Regiment RCA The Loyal Company 27 January1995. 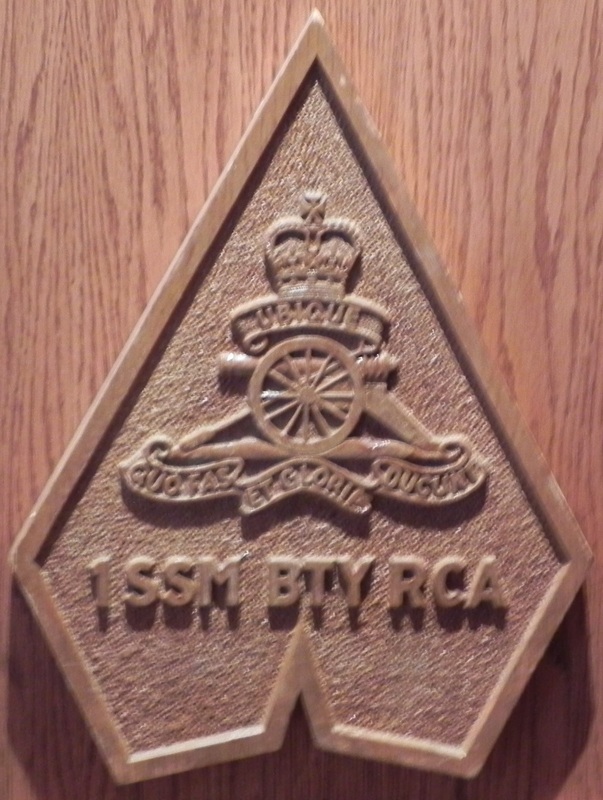 The Standing orders of the Royal Regiment of Canadian Artillery provides the following description, “A smooth- bore 9-pounder field gun Or (gold) on a field Vert (green) above a scroll Azure bordered Or inscribed “UBIQUE” Or below the gun a scroll Azure bordered Or inscribed “QUO FAS ET GLORIA DUCUNT” the whole surmounted by the Royal Crown proper.” The RCA badge is used both as a cap badge and as a crest. 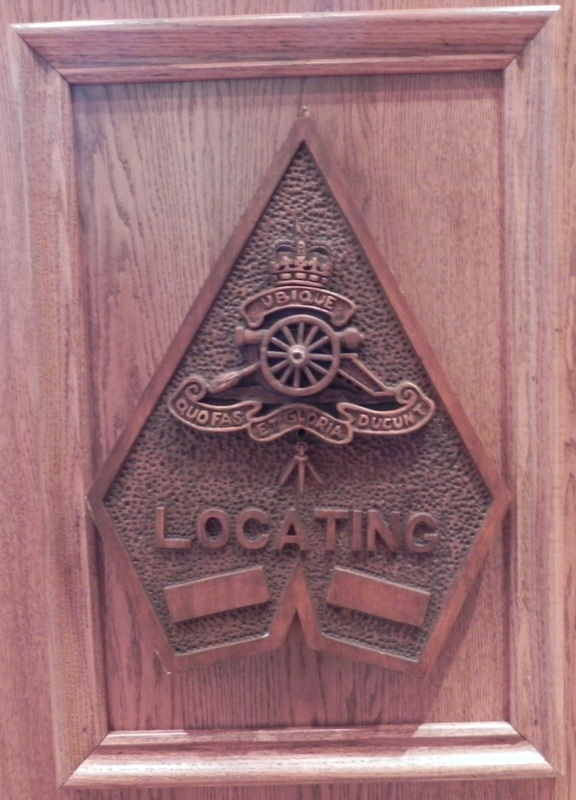 The RCA Badge was approved by the Chief Herald of Canada in August 2006. 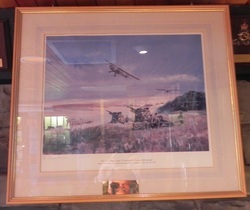 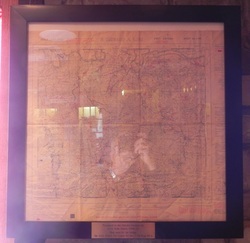 Presented by Brigadier-General Bob Heitshu, President, Canadian Air OP Pilots Association, July 2012.